The Government has launched the Clean Air Strategy, which lays out how the country will “tackle all sources of air pollution, making our air healthier to breathe, protecting nature and boosting the economy”. Part of the “strong action” contained in the document is new legislation to ensure only the cleanest wood burning stoves are available for sale by 2022. 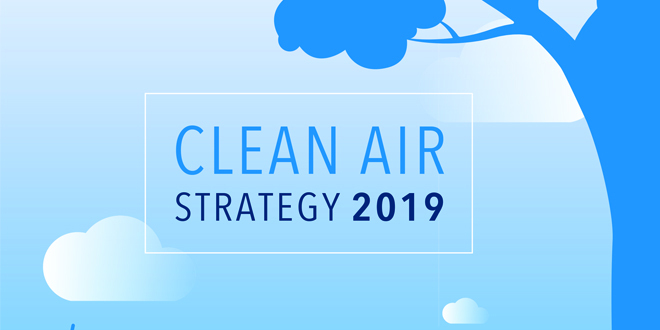 “We welcome Defra’s 2019 Clean Air Strategy and are already working with them to bring about changes to existing smoke control legislation. Reducing particulate emissions from wood burning is an issue that the industry is working together on to ensure that the right stoves and the right fuel are part of the solution for air quality, not the problem. “Both HETAS and Woodsure are playing a key role. HETAS Registered Installers are helping to advise on the use of dry wood fuels, low sulphur smokeless fuels and modern clean-burning appliances. “Woodsure Ready to Burn fuels comprise quality, dry logs which contain up to 20% moisture, which give off greatly reduced amounts of smoke and pollution as well as giving off more useful heat. The scheme is backed by government and retailers including ASDA and B&Q have been encouraging and incentivising customers to purchase ‘Woodsure Ready to Burn’ wood and ‘HETAS Approved smokeless’ fuels. Stoves are only as good as the fuel you burn and our message is simple – don’t burn wet wood. If homeowners are choosing to burn wet or poor-quality wood this will increase levels of PM2.5 particulates in their emissions. “As well as an intention to phase out the most polluting fuels, the government’s strategy sets out that only the cleanest stoves will be available for sale by 2022, thereby prohibiting the sale of heavily polluting stoves. Today’s Defra Exempt and Ecodesign compliant appliances have been engineered to reduce emissions by 80-90% compared to open fires and old stoves. “I applaud the government’s recognition that clean-burning wood stoves have a major role to play in maintaining good air quality. I also welcome Whitehall’s commitment to ensuring that clean stoves offer an important way forward in achieving this. This is why the wood burning stove industry’s ‘Ecodesign Ready’ initiative is so important. “The upshot, is that the latest wood burning stoves are helping to mitigate the impact of fossil fuels and create cleaner air. “BSRIA and its members are working hard and fast to reduce emissions in wood burning stoves. Indeed, in recent years, BSRIA has provided consultancy and testing services to assist new member and industry products meet the future requirements. Much improved appliances are already being produced that meet the high standards coming in 2022. “The strategy makes a good start and heads in the right direction. BSRIA calls on government to reach deeper into the causes of pollution and continues to press forward in making real reductions to encourage sustainable clean combustion. “The bigger problem produced by open fires and the old stock of solid fuel stoves over the previous century that burn wood and coal – is yet to be addressed. “Owners of an SIA Ecodesign Ready stove can be confident they are reducing their carbon footprint and helping to improve air quality, by using the best emissions and efficiency technology available.